Michael J. 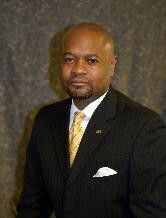 Brown is Managing Director of MJB Outreach Solutions, LLC. Brown most recently was the former National President of 100 Black Men of America, Inc. where he led the 100’s worldwide headquarters’ operations, programs and development staff. Previously a philanthropy executive at the National American Red Cross, his last assignment was the development and integration of an enterprise wide, performance-based incentive plan and annual skills assessment to assist fundraisers in achieving yearly revenue goals while attracting and retaining top talent. From August 2008 to September 2011, he led Red Cross’ nationally based corporate and foundation fundraising professionals. His teams grew total gift revenue to over $300M, increased workplace giving and annual unrestrictive revenue. He initiated the successful $100M Campaign for Disaster in 2008, directed the redesign of the annual corporate giving program, and implemented an enterprise recognition framework for major gifts. Brown began his career at State Farm Insurance® in 1989. While there, he helped managed investments to non-profit organizations from the company’s $60M philanthropic budget with oversight of brand and reputation management, community relations, communications and media relations. He is married to Melissa Brown and has two daughters, Kali, 21 and CeAyra, 18. Brown serves as Second Vice Chair on the NNSTOY Board of Directors.